So if you are a writer and you want your words to be spread in the form of professional, high quality and print-ready ebooks, then here is the gig for you. * Cover pages if ordered with books are given on discount. Free promotion only if book content maches our content guidelines. NOTE: Due to excessive requests, we are not taking any free publishing orders right now. Thank you. 1. Article should be at least 20 pages long which could be published as a booklet. 2. The matter of the book should be constructive. Besides Islam & Radd, History, Moral stories or Novels etc. will also be accepted. Every kind of matter either in the form of articles or poem will be accepted provided it should have a theme of Dawah and true guidance to Qaum. Articles having pornographic content or leading to wastage of time will be rejected. Our team will have all the authority to accept or reject any book, and their decision will be final. 3. Since all this work will be carried on Fi Sabeelillaah [Without cost, only for the sake of Allah Almighty], we will not promise the completion of the book at certain deadline. Our team will try their best to complete the book as soon as possible by their convenience. 4. To err is human, that's we may do some mistakes. You must be polite while being in contact with a appointed member using E-mail or Phone to point at some mistake or for some important issue. 5. Yes, this service for preparing the ebook for you will be completely free, but neither we nor anyone from our team will SHOW YOU OFF THAT WE HAVE DONE IT FOR YOU (In Shaa Allah), Albet as a human,(and specially as a Muslim)it's your duty to be polite, it should seem that you're giving some order. 6. You will not be able to sell the e-book published from "SarBakaf", this will be available for the slaves of Allah free by all means. If you will be found selling this e-book then you act will be a crime morally, by Shariah as well as by Law. In this condition, besides other THINGS, we will not (and never) be connected with you anymore. 7. Your book should not be necessarily in any perticular language. Besides Urdu, you can give the books in Arabic, English, Hindi, Marathi and other languages as well. Books written in Roman Urdu will also be acceptable but we recommend Urdu instead. 9. The cover page will be fixed for all the books. 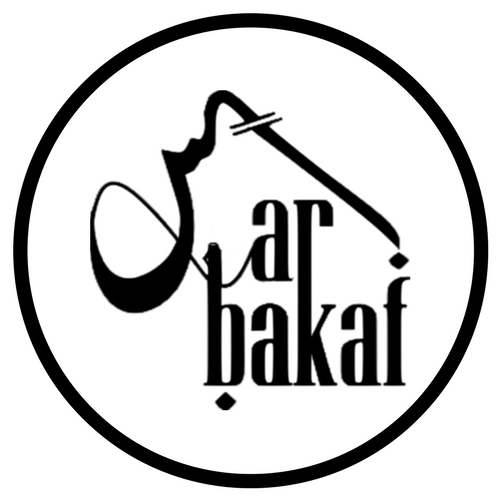 If you design the cover page by your own, then you must write "SarBakaf Publications" in clear and visible letters. Later, you will have to send the image file of that Cover Page to us. 10. No one will be given preference. Service will be provided on "First come first serve" basis.